I wrote this to be read at her service. I guess my brother and sister arranged for a service at the LDS Church across the street from my parents house. They wouldn’t allow this to be read during the service by anyone and it had to be approved by the Bishop of that ward. I guess they didn’t approve it since they chose not to read it. It was a pretty sad turnout though. I think there was about 15 people overall who went to it. Mom didn’t want a service like that, but my brother and sister decided they would anyhow. I tried to make it a message of healing and a small glimpse into her life. When I think about all the things I could write about when it comes to my mom Winnie Elder, I would say that she took the bull by the horn and got it done. I’m pretty sure that she had to be strong while we were growing up since we were always in to something. My mom loved riding horses. We had many of them as we were growing up. 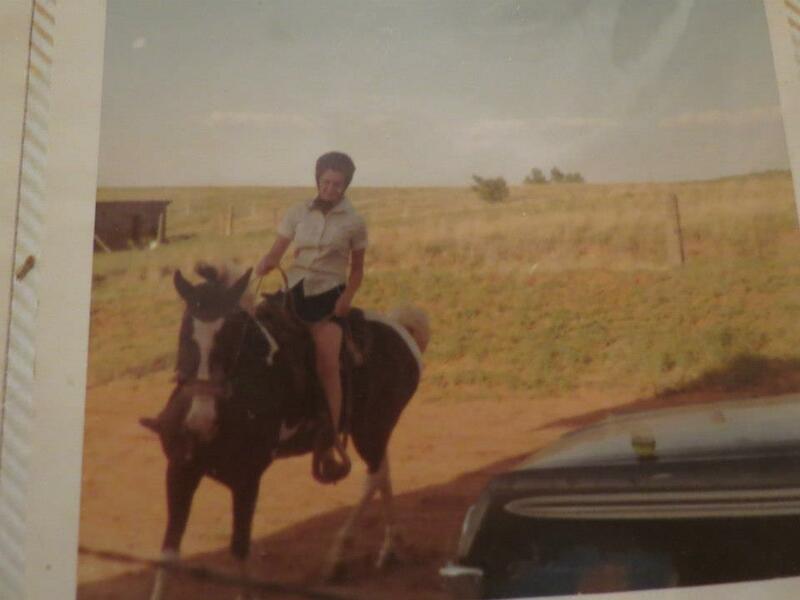 There was a day when my sister Joyce and myself decided to go out and ride our pony. I thought I was big enough to tighten the saddle. To my disappointment, I didn’t do that to well since Joyce and myself arrived safe and sound, but the seat was under the pony and I had some explaining to do. The look on moms face was priceless. I think Joyce was terrified, haha. Mom was in her element when she was riding, it was as if she felt free from all the cares of the world. I think her death is that way too. She is free of the worries, strife and pain of this world. She is free and enjoying the wind in her hair. I wonder if her horse “Ginger” was waiting there for mom? I want to believe that “Ginger” all all the other horses named after Gilligan’s Island will be there to welcome her back. As a child, there was always yummy stuff that she was baking. She could make something as simple as rice and tomato soup taste like gourmet. We didn’t have much money, but she made the best out of what we had. I don’t remember ever going to bed hungry. Mom use to make this stuff called, ‘mush”. If you have never heard of it, it is cornmeal that is cooked into a cereal. For some reason, I looked forward to it. We had cows, so there was always fresh milk, cream and homemade butter. One of the things I still miss to this day is her homemade rolls. We would come into the house and the house smelled like heaven. We knew she was baking because we could smell it all the way from the street. Most times Mom would make extra and we would have fresh hot rolls out of the oven with butter. To this day, I am taken back to those days when I smell fresh baked bread. While I am talking about Christmas pies, I want to just share how much we had, even though we didn’t have much. There were only a few times that I really asked for anything for Christmas. Since there were 5 of us kids, we knew not to go over the top. But mom and dad both tried to make the day special. Mom would wrap the gifts perfectly. She made sure all the ribbons and bows matched. Usually we had about 3 or 4 gifts under the tree. I must have been pretty young since there was this one little baby doll that I really wanted. It was one of those little dolls that would pee itself and it would eat. All my other friends had one and I wanted one too. I also wanted one of those dolls that was like 3 feet tall. On this particular Christmas, I received both of those dolls. I’m sure I had tears in my eyes because I knew that I wouldn’t get them since they were expensive for the times. Somehow, Mom and Dad pulled it out and got us kids what we asked for. The other gift I remembered most was when I was a teenager. I would spend hours rolling my hair. The newest thing to come on the market was a curling iron. At that time, you had to put water in the end to make it steam up. I wanted one so badly. We would get the Sears Christmas Catalogs and I would have all the curling irons circled with my name on it. I made sure to leave hints all over the house. I was pretty much reserved to thinking I wasn’t going to get it. On Christmas Eve, Mom and Dad were handing out gifts. One at a time, they were disappearing. The very last gift for me was “It”. I had my curling iron that had to have cost only $10.00 at the time, but to me it was the best gift ever. As I got older and thinking about gifts and receiving, I think back on the joy that was on my moms face when she would take the time to wrap the gifts and find that special item. The smile on her face is something I will always remember. When I became a teenager, I was a bit rebellious. I wasn’t fond of school for the most part. I loved watching soap operas and just spending time at home with mom. I wasn’t wanting to go to school. I went into the house from the bus stop and asked mom if it was OK if I could stay home and watch “Guiding Light” with her. She let me stay home and we laughed over some of the silliest things on the show. We also went into town and drove through the Dairy Queen. It was nice just having my mom to myself. Besides Christmas, my mom was a giving and loving mom. I left home when I was a teenager and moved to Texas. I ended up with Guillian Barre Syndrome which is also called “French Polio”. I was paralyzed, pregnant and my husband and I had very little money and Christmas was out of the question. My Mom and Dad along with my brother loaded up the car and came to Fort Hood, Texas to visit. After seeing how bad things were, Mom and Dad took us shopping and got me pregnancy cloths, food, Christmas gifts, a Christmas tree, decorations. By the time they arrived, I was able to balance myself a big but that was it. While they could have been very angry over my actions, they were compassionate and loving. This is how I will choose to remember my mom. After mom started going to church, she and I had some long talks about what it means to be saved and to have a personal relationship with Jesus Christ. Since I live in Utah, most of my conversations were on the phone. A couple days before she was baptized she and I talked for almost an hour about how important it is to be baptized and to accept Jesus Christ as her Lord and Savior. I know in my heart that while she didn’t know everything the Bible has to say, she did know that she loved Jesus Christ. She was ready to accept Him personally. I was over the top excited when she and I had that conversation.Only God knows truly what was on her heart, but I am holding out hope that she was sincere. Some of the conversations we would have was about my Grandma Grace. I told her that since she is a believer in Christ, that she can now look forward to being with Grandma and Grandpa. The conversation I had with Mom was priceless. I would like to thank Bishop Kelly for helping Mom get to a point where she knew that Jesus loves her and that she is forgiven of her sins. I then explained to her that while this life on earth will end, life with Christ is just the beginning for her. This morning take a moment to look around you. Look at the faces of those sitting around you. You see, this is a different place than when you walked into this morning. And those of you who came into this place this morning are different, because you just stepped into a new season. These verses picture human experience as a tapestry woven of times. There is indeed a time for everything and a season for every activity under Heaven. On my last visit with Mom, she had a way of expressing what she was feeling. She and I would walk hand in hand as we strolled past her yellow roses. I will cherish the images of her holding my hand and telling me how much she loved me and how much she loved all of her children. She also shared that even though relationships are strained, she still loved each and every one of us. As my husband and I headed back to Utah, I knew in my heart that when I held her hand while she was sharing her memories and concerns that this would be the last time I would ever see her and touch her. As we waved good-bye, I knew this was really good-bye. A few of my conversations in her last moments was on how she loved my dad. Even though they would argue, she loved him. I would talk to her at 4 in the morning when she was most alert and she would express her concerns, regrets, fears and heartaches. She went on to say that even though she didn’t always show how much she us, she did. The words that will be burned in my heart is when she told me she doesn’t know how to die. I let her know that all she has to do is just Let God and He will do the rest. We will be fine, even though we will miss her and we will never forget her. … Mom, you have run the race, you have fought the good fight, you have finished the course, you have accomplished everything He sent you to earth to do. Your work, Mom, is done. Mom, you’re free to go home. 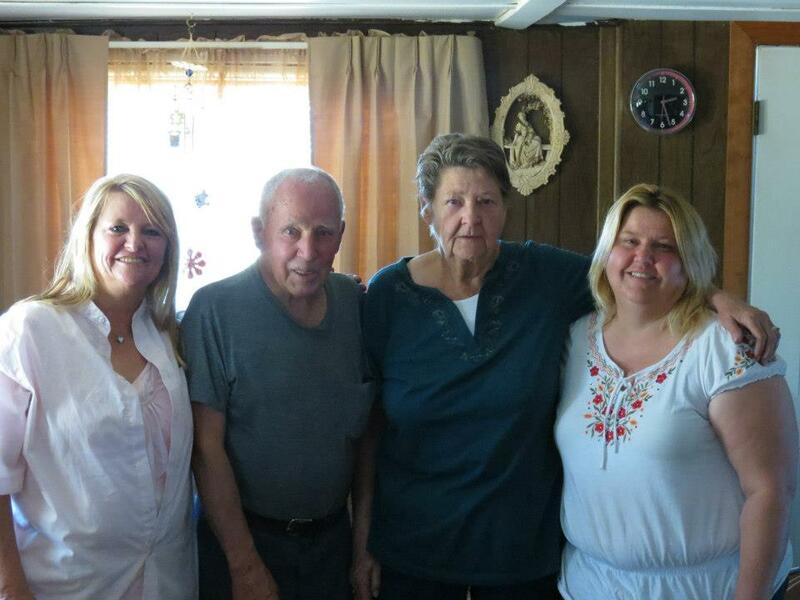 Mom, you have loved Grandma and Grandpa, Dad and all of us kids. Your have loved so many and we love you too. Mom, you are free to go home now. Next Is Swearing a Sin? God bless you and your family. Am so sorry for your loss but she is in Heaven now, a place she would never want to leave. One day you will all meet again. Life is short on this earth. Too short not to move on. Your mom will be looking over you. Make her proud and make her smile. She and you both know the shortness of time here and she is waiting patiently to have all of her family to be together once again. May God give all of you peace, comfort and strength at this hard time. Hugssssss and God bless! Thanks Ramona… I know she is in a better place, or atleast I am hoping she is.